If you are among those who love to take selfies, then this new smartphone is for you. Asus is all set to make a huge impact on the Indian smartphone market, as according to a report they are launching three new smartphones within next few days. 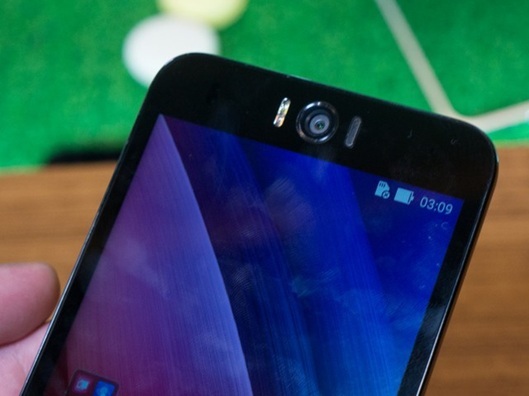 On June 1st, Asus had made the announcement of its much awaited smartphone Asus Zenfone Selfie at the ongoing Asian consumer electronics trade fair Computex 2015, Taipei. Talking about the designing part of the Asus Zenfone Selfie, it looks pretty much similar to another Asus smartphone Zenfone 2 with curved candy-bar design and power-and-volume buttons just under the camera module. But taking Camera and Processor into consideration, this new smartphone is very much different from others. As the name suggests, the USP of this phone is its front camera, which is a 13mp camera with f/2.2, 24mm wide angle, 5-prism Largan lens, Toshiba 1/3.2-inch sensor, Dual LED real-tone flash, HDR and low-light selfie feature. So if you are planning to take a selfie, it will make sure that you will not lose your best shot. Other added features, which are not mentioned in the above list are Dual-SIM (micro) slots (2G+4G-LTE), Bluetooth, Wi-Fi, USB, GPS, GLONASS and AGPS. On the basis of the front camera, Asus Zenfone Selfie will definitely be a tough competitor for other companies in the market. For now, the company is yet to announce the launch date and price tag for Asus Zenfone Selfie; but it is expected to be made soon.